Posted on March 28, 2019 by Dan Boshart wrote in Arts and Culture. It has 0 Comment. 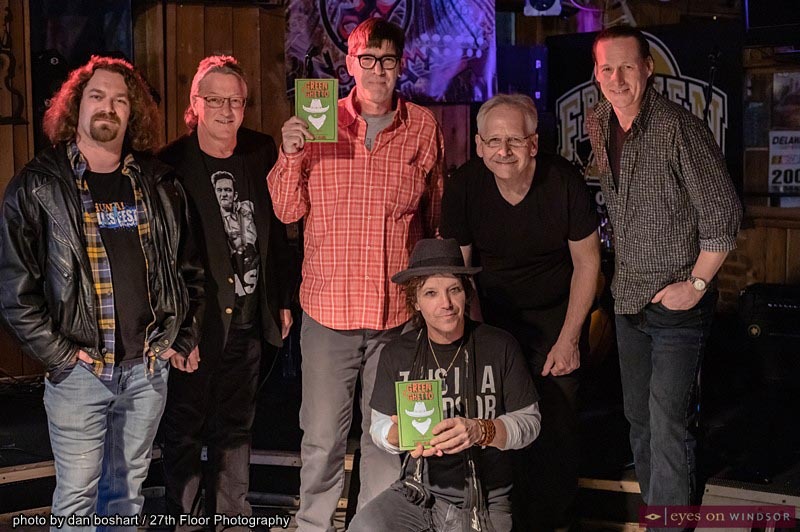 Former Windsorite Vern Smith, winding down a seven week rust belt book tour promoting his fiction novel “The Green Ghetto” made a stop at Jakes Roadhouse & Blues Joint on March 20. Special guests South River Slim and his band provided live music as part of the event. Eyes On Windsor sat down with Vern to talk about his book. You live in Chicago now but you’re from this area, tell us a little about yourself. I actually live about 25 minutes outside of Chicago in a small town where urban Illinois meets rural Illinois. I’ve got deer in the backyard now. I was born in 65 in Windsor and lived here about 28 of my 53 years. 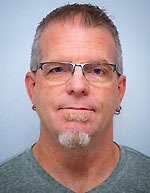 I started working for the Windsor star as a kid in 1987, worked in communications for the NDP government, worked for four newspapers and was station manager at CJAM 99.1 FM for six years. I’ve been writing fiction since the 90’s. I wrote a novelette called The Gimmick in the early 2000’s that was a finalist for the Arthur Ellis award, Canada’s highest crime writing honor. I’ve sold short stories to magazines over the years here, there and everywhere but this is my first novel. 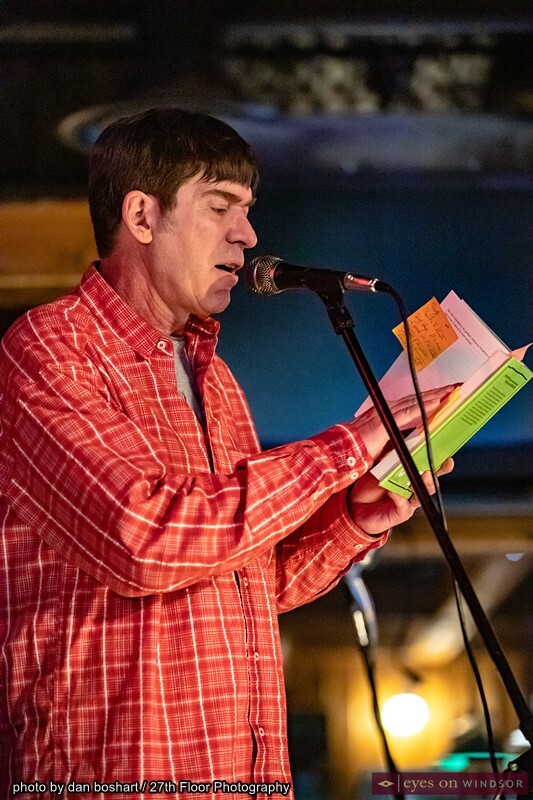 Author Vern Smith reads from his fictional novel “The Green Ghetto” at Jakes Roadhouse and Blues Joint in Windsor, Ontario, on March 20, 2019. Photo by Dan Boshart. Describe “The Green Ghetto” for us. Crime fiction collides with urban western when a dope growing mail order cowboy gets caught up in the war on terror in post 911 Detroit. It’s set in 2002 over four days on the first anniversary of September 11 and it sort of revolves around the hysteria connecting the war on drugs to the war on terror at that time. I think it’s one of the things that makes a story from 2002 relevant today is we’re still dealing with hysteria around this issue in the U.S. and even with legalization to some extent here. Not too long ago on the eve of legalization, Trudeau signed on to a document reaffirming the war on drugs with Trump. There are a lot of details around legalization that are still quite hysterical in this country. If a 19 year old passes a 17 year old a joint, he could even under legalization be facing 14 years in prison. There’s a breathalyzer that doesn’t work and it’s probably going to get thrown out on a constitutional challenge because it doesn’t accurately measure impairment. And more than anything else, a lot of these happy, shiny activists talk about how diverse it is, and you’re dealing with a situation where the first thing that should have been done is decriminalizing small amounts as well as looking into people who fell into the system on petty offences and getting them out. What we’re seeing now is all about market; it’s all about product and being very familiar with how sin products work like tobacco, alcohol, and the profit margin is very slim. The people who survive are going to be the people who produce a ridiculous amount and are able to survive on a small profit margin. All these craft people, there aren’t going to be much room for them in this market. 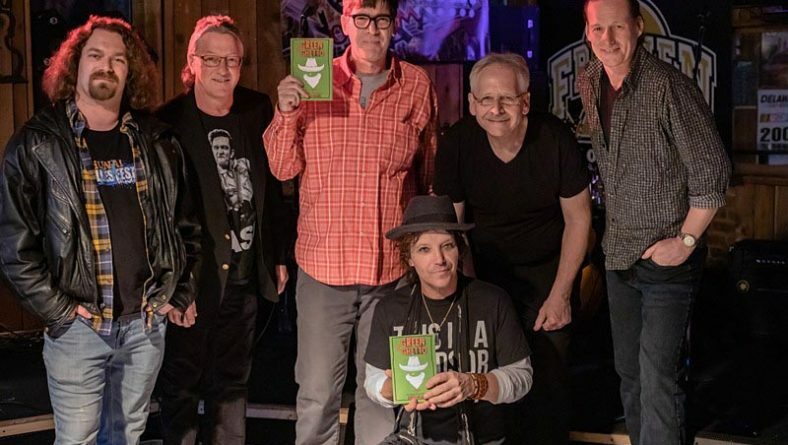 Vern Smith’s fictional novel “The Green Ghetto” shown at at Jakes Roadhouse and Blues Joint in Windsor, Ontario, on March 20, 2019. 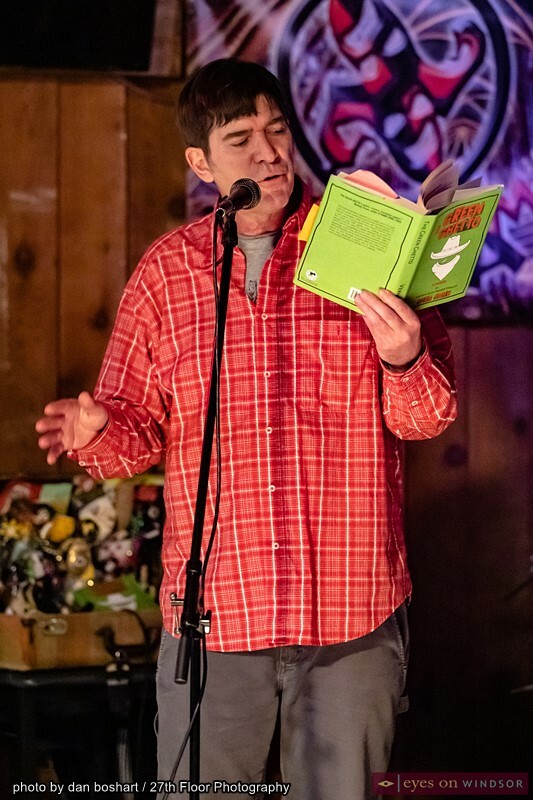 Photo by Dan Boshart. Mitchell Hosowich is pleased as a puppy with two tails that the great American rust-out has rendered parts of Detroit rural again, wild. For him, the “Green Ghetto,” as the bureaucrats have come to call it, is a safe place to grow some fairly decent Detroit dope. But when two DEA agents start sniffing around his spread, only to wind up dead, Mitchell finds himself with a lot of explaining to do. Left with two stiffs, a dead dog, a shot cow, and fifty-nine missing marijuana plants, Mitchell decides not to wait around for the law to come down on him. Instead, he goes after his stolen pot, a chase that becomes a tense, and at times hilarious, cross-border road trip to nearby rural Canada. Set in a hyper post-9/11 culture, The Green Ghetto explores the universal theme of being compromised. But mostly, it is the story of how America got here from there in the war on drugs, terror, and words. 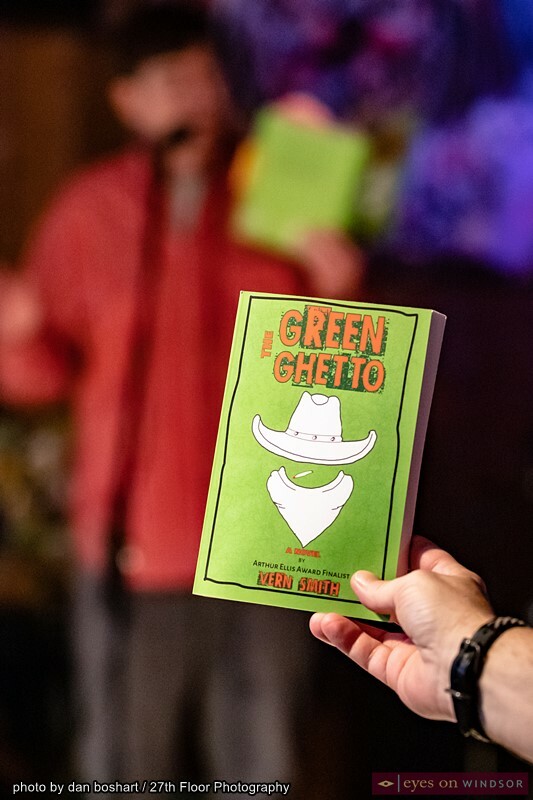 The Green Ghetto is available at Chapters, Indigo, Borders and online through Amazon.